I fell in love with fun melted snowman treats over three years ago and have been collecting ideas ever since then. 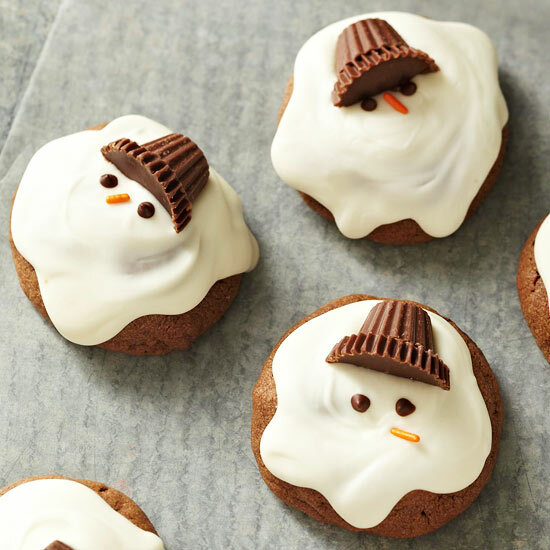 The newest addition to the list are the melted snowman chocolate cookies from BHG. If you don't like the idea of a chocolate cookie, you could easily replicate this cute little guy on a round sugar cookie or even a cupcake. You can check out this cute melted snowman cookie over at BHG and check out the rest of the melted snowman treats in my archives. I think these would make a lovely cupcake!